There are two treasured water colour paintings in the family. The first showing a house with a broad veranda around it and the second shows the view from that house over the surrounding garden and mountains in the distance. 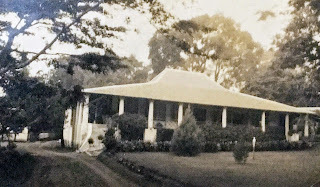 This was the administrator's house of the coffee plantation my grandfather Rein Peelen managed in Central Java in the 30's and this is where my mother and her siblings grew up. 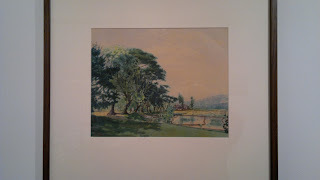 My grandmother Meta got a local artist to paint these pictures and sent them as a Christmas gift to her three teenage sons who were living in Holland for their education as was the custom. View to the garden and mountains from the family home in Java. My mother's family did not own this house, but it was special for her and her siblings, the place for memories of carefree days and play in a wide landscape. My uncle Bill Paylen (the second eldest son) loved plants and he had his own little garden here which was the beginning of his knowledge and expertise that would see him establish a successful career in horticulture and garden design in Los Angeles. With all the changes and upheaval that happened from war and the subsequent independence of Indonesia, this home(stead) probably is no more. The nearest I can find to a homestead held in the family for generations, is Beintema Hus, in Friesland, near Westergeest. Its history dates back to 1543 when it is first mentioned in records as Banthiema Huys. The first part of the name Banthiema, which became Beintema and is the family name, the second part Huys simply means house - so Banthiema or Beintema House. This homestead remained with the family Beintema until it was sold in 1671. It was then leased out until Douwe Kornelis bought the farm in 1750. 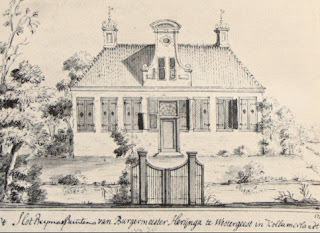 (Ref: Beintemahus/Plaatsengids.nl) His daughter Jeikjen married Johannes Meinderts Jelles. How did the name Beintema appear again? On 18 August 1811, Napoleon issued a decree, based on French law, requiring the adoption of permanent surnames. The Netherlands was part of the French Empire and so everyone in the Netherlands had to register a surname and those who did not comply were fined. Name adoption registers (naamsaanneming registers) were created to record the family names that were adopted. (Ref: Family Search Wiki Dutch Research). Meinderts thus registered the name of the farm where he lived and worked, Beintema. This second Beintema family had no connection to the first one. Usually the homestead gets the name from the family, but in this case it is the other way around. The location is now a "buurtschap" or neighbourhood with its own sign. It only needs one as it is on a dead end road and it encompasses just two farms. Beintema Hus, Westergeest is recorded as the birth place of my great great grandmother Lijsbeth Douwes Beintema (see also my post A Family Heirloom) and she was the granddaughter of Johannes Meinderts who registered the name. Lijsbeth was one of twelve children and mother of nine. Members of the Beintema family lived at Beintema Hus until 1918. 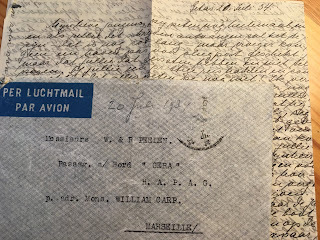 In 2016 the family archive was donated to the Kollummerland Gemeente by the widow of the last member of the local Beintema family.